Yep, Most Curious agrees this pretty much sums up the work of Sarah Williams, aka the flower bird and we are delighted that she is exhibiting at our London show on 7 and 8 March 2015. 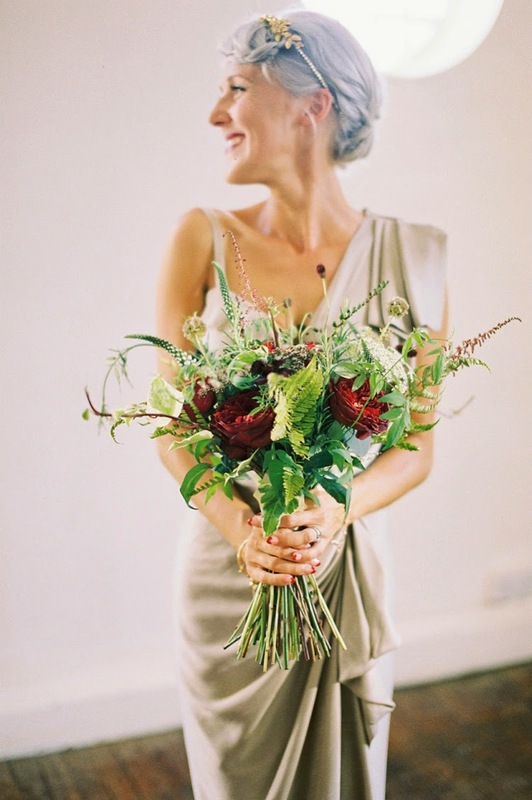 Based in South London, Sarah has a passion for wedding floristry and, although she can source any blooms for brides, she prefers using fresh, seasonal flowers in her work, to produce natural and contemporary displays. Using seasonal flowers is a top tip for getting the best price for them too! Her instinctive style is to follow nature, using lots of texture and foliage. She always likes to include some hidden detail, enticing people to look a little further with her flowers and take pleasure in discovering something they may not have spotted at first glance. In terms of trends, she tries not to follow them! For Sarah, an important aspect of her role is to match her flowers to her client and work out what will suit them, regardless of fashion. Every bride is different, and her flowers should reflect that as much as every other aspect of her wedding. Nothing gives Sarah more pleasure than the smile on a bride's face when she first sees her bouquet and she knows she has got it right! One of those happy brides was Fashion Designer Joelle Reeves, whose wedding was featured on Love My Dress and was one of Annabel's favourites, with photographs that really have that WOW factor. Check it out here and you will see what she means! Sarah's love of flowers is evident and she is constantly looking for new and inspirational ideas she can incorporate into her work, and so in September 2014 she attended the McQueens 4 week vocational floristry course. The course was amazing and she came away feeling even more passionate, brimming with new ideas and enthusiasm. And what is the Most Curious thing about the flower bird? Sarah always takes her clients for a flying visit around New Covent Garden Flower market, so she knows exactly what they have in mind. We think this is a really lovely idea and sensible too. Many couples may not know what they want until they see it and the flower market is the best place to be inspired. So, come and meet Sarah, see her beautiful creations and chat through your wedding flower ideas. You can grab your tickets now for both London and Norwich by clicking here!